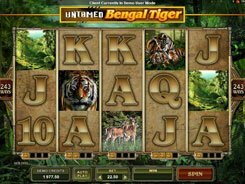 This is a 5 reel slot with 243 ways to win and is themed around animals, pandas in particular. A coin size is adjusted from $0.01 to $0.1, with a total bet reaching $45 per spin, yet low-limit players can bet as low as $0.3. 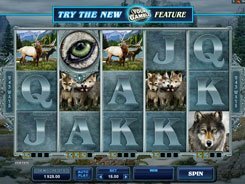 The slot has a wild, a scatter, free spins, Brilliant wilds, and a unique Lucky Nudge feature. A wild depicted by the logo substitutes for other normal symbols and has a power to transform en entire reel into wild as soon as you fill up a ‘wild meter’ under that reel. 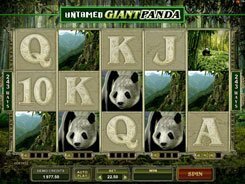 Three Panda’s Eye symbols scattered anywhere on the reels unlock 10 free games. 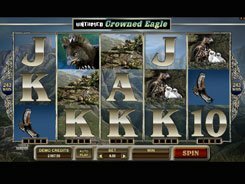 During the round of free spins you can take advantage of Brilliant wilds or sticky wilds as they are usually called by other slot developers. 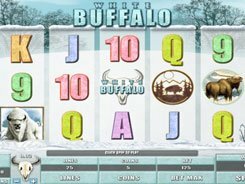 Whenever a normal wild symbol appears on the reels during the feature it will freeze in that position until the free spins end, so by the time the feature is over you can have many symbol positions morphed into wilds, which will make for great payouts.